Just a short walk up Cannon and down King and I can have dinner at Hall’s Chop House. 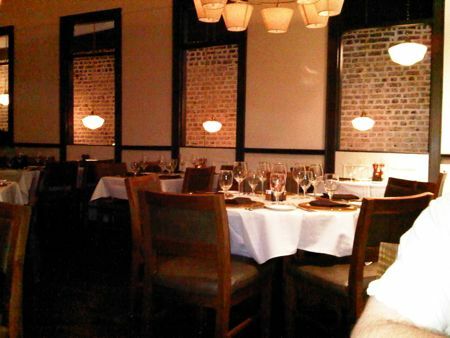 I was very skeptical about the place, because I don’t really consider myself the steak house type. HOWEVER, I liked it so much the first time, I needed to go back within the week? That makes it blog worthy. The prices are a bit of an adjustment…but…the quality of the steak is enough to reduce the sticker shock dramatically. Hall’s is a bit of a splurge, but well worth it. It is also loaded with ambiance, and the service is over the top! Make sure to order the Hall’s house salad, it has black eyed peas. Last night they even had a live blues pianist. You can check out the menu on the website www.hallschophouse.com Hall’s Chop House is without question the home of Charleston’s best steak, but is also in the running for Charleston’s best restaurant.